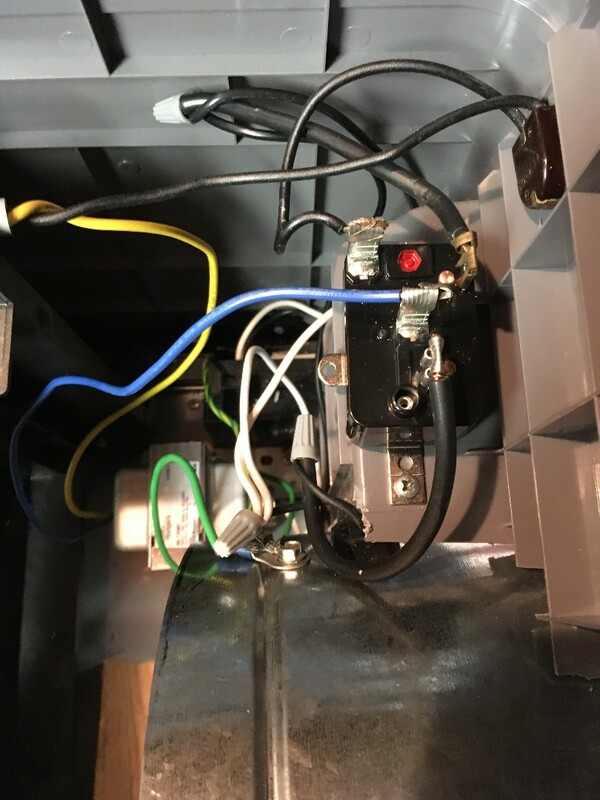 I got my transformer and relay switch from supplyhouse.com for my snap switch to the fan and am deciding how to hook up a manual override switch. I am debating whether to put it in the 24 volt line in parallel with the snap switch or to put it in the 120 volt line and bypassing the transformer and snap switch system completely??? The later would mean that the transformer, snap switch and relay could be cut out when I turn on the manual switch, but would that feed back into the relay switch and cause any problems? I had to send my 8 inch duct collars back to the Amazon dealer because I finally noticed (after two days) that they were set up for flex duct and did not have a crimped end to connect to solid duct, as was shown in the picture online. Now I am waiting for HD to ship new ones along with the other ductwork parts. While I would prefer to live out in the country, with plenty of quiet space. Living in a large city does have certain advantages. The resources I have available locally are too numerous to count. Had to send back the duct collars...after 2 days I realized they were not as shown...they were for flex and I am using solid duct. I got online with Home Depot.com and ordered new ones as well as elbows and duct. Free shipping over $45 ;-) and I got them in 3 days. Better quality and I had to "refine" my holes to make them fit well. Also received my transformer and relay switch for the fan and snap switch circuit. Yesterday was a rainy day, so I went ahead and fitted them into the printer/ fan housing. I went out to my son's house for my grandson's 3rd birthday party on Saturday and drove the truck to take something my son wanted to borrow. He gave me the used tongue and groove oak that he had. They are calling for showers and thunderstorms all week, so it might be a good time to spend in the shop ripping 3/4 inch oak into 1x2's to make my screen frames. I've been making screen frames out of my 40YO reclaimed oak panelling. I had to rip off the tongues on the boards and then ripped them into 1 3/4 inch wide boards, dadoed lap joints for all the corners and trimmed them to fit tightly in the back of the box. I have 3 for the back done now. They are 4x6 foot each with cross pieces that will be where the channel dividers will be. I am still waiting for a 24 hour period without rain or temps over 90 degrees in order to do some caulking and a lot of painting. I disassembled the screen frames and took them back into the shop to sand and prime. My plan is to then glue, assemble and paint them black outside. 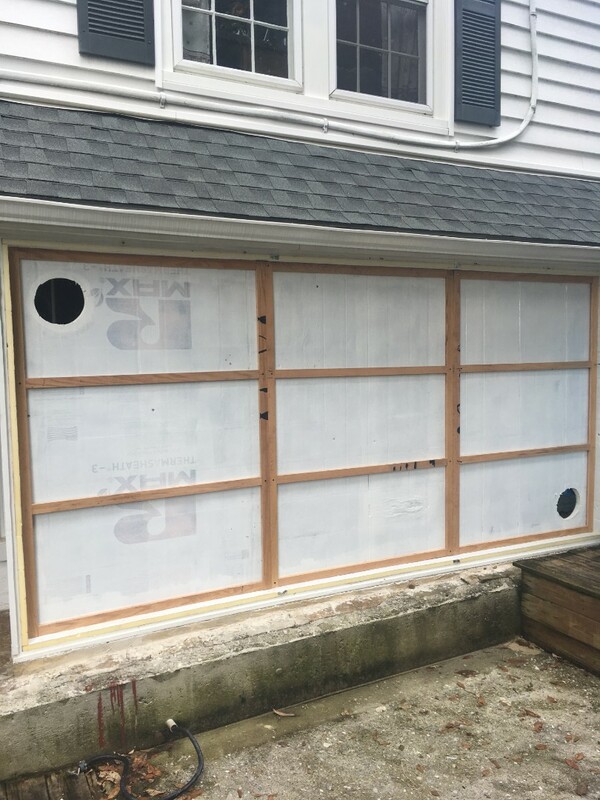 Then I will be ready to put screen on them and put them in place. 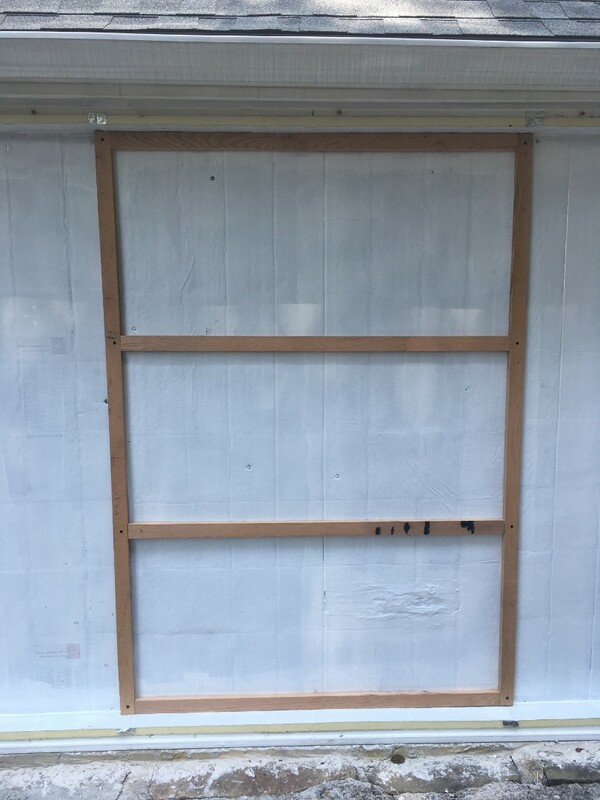 Today will include a trip to HD for 10 foot 2x4s to rip in half to be spacers between the screens and dividers for the channels. I am still pondering the location for the snap switch and whether to stick with the 110/90 I have or change over to a 90/75. I don't think I will have a lot of high temps in the collector. any suggestions on this are welcome as I am confused by all that I have read here. The snap switch should be placed in the upper corner near the exhaust duct. You could mount it on the on the side, between the polyiso and the exhaust. This would allow you to run the wires out through the side of the heater box. As far as temps for the snap switch, I think the 90/75 might be a bit low, depending on where the air is entering your home. If it is in a room that is used a lot, a 75˚ breeze of air might feel rather cool. But it will be more efficient and allow the unit to start running earlier and stay running longer at the end of the day. Those oak frames are sweet - great fit too. That may also be a good material for holding the glazing, cross-strapping, etc. Are you planning to staple to it? I know oak can be pretty dense. May be time to invest in a power stapler, or at least a good pair of gloves. I almost felt guilty slicing up the clear oak paneling, but it did have some holes, cracks, glue and other defects after being on the wall since the 1970's. The screens will line up with the H-frames for the glazing and be anchored to the back supports and plywood. I plan to have 4 bolts pass through the entire collector from front to back to stop any glazing bulge...I hope. As far as the screen, a few years ago I bought a pneumatic stapler...I hope that will put a 3/8 inch stapler through the screen and into the painted (God forgive me?) oak. Looking forward to seeing how your through-bolt setup works out. I have been thinking about how to do that myself, but so far haven't tried it. Krautman Craig used that technique successfully on his aluminum Gen 2 ZP (another thread in this section). Some of the bolts hold the glazing cover on and attach the collector to the back frame at the same time.